Imagine my surprise when I turn on the TV after a long day of cramming some good science into students' heads, to find that gravitational waves have been found!! 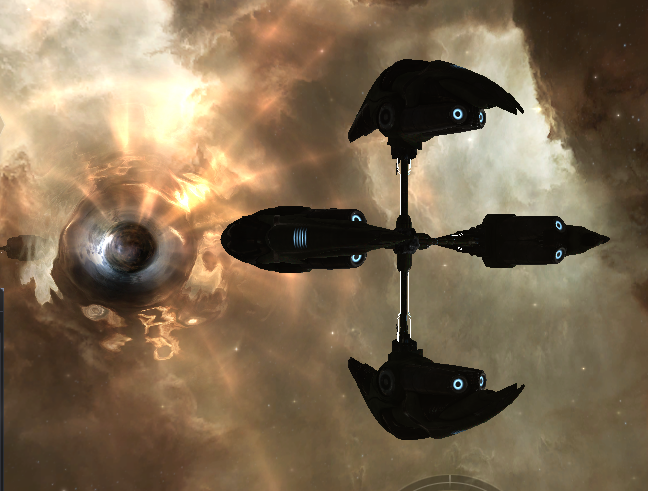 My Wormhole Dynamics model for the EVE universe just became a little more real! Jove, Sleepers and Talocan have all been known to be able to manipulate wormholes, even before the Seyllin Incident. So far the only explanation for this is that they are ancient races in possession of handwavium, allowing them to do so. But if you've agreed with me so far, you're ready for the big reveal. For our current natural wormholes to appear, you need a source of gravitational wave. For capsuleers, this was provided to us by the Seyllin Incident, literally thumping reality hard enough to produce the waves. The Drifters, Rogue Drones and Sansha have all demonstrated their capacity to at least control static wormholes with structures in space. I've assumed that these are, in fact, wave generators. However, we know that some Jove and Drifter ships are capable of producing wormholes on their own, perhaps using on board generators. But what if you were an advanced civilisation, with the capacity to build structures such as the Jove Dyson cloud? Would you be satisfied with only being able to use natural gravitational waves to travel through space? Like sailors before steam engines, you'd be at the mercy of the winds. What if there were some way you could generate waves enough to supply a system? What if it were big enough to supply a whole cluster with a steady supply of gravitational waves to form standing wave bridges? 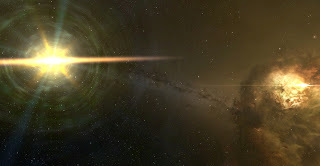 It is a colossal gravitational wave generator, supplying New Eden with a reliable source of gravitational waves. Think again back to the Seyllin Incident being a stone thrown into space-time, causing these ripples. Usually these oscillations would simply disappear over time, the energy lost by the moving wave. The reason we still have the effect of wormholes, and indeed the increase in wormhole activity, is that something is adding waves into the cluster. Again, a practical examples would be this; go to a sink, and fill it with water. Put your hand on the surface, and push up and down gently. You'll soon start to see the water moving up and down like crazy, forming the peaks and troughs of standing waves. Your hand, in this case, represents the EVE Gate. Now we know why it is impossible to approach. The storms raging around it is the quite literal upheaval of space-time. Ships that approach are likely to be shaken apart by the gravitational stress. In the beginning, this was quite stable. But now, as time goes on, the technology is starting to fail, and the wave generator experiences some periods where it does not oscillate at its maximum strength. These are the periods which allow the Sisters of EVE, or just the curious, to go and look closer. Some of you will now say that we know our ancestors passed through the EVE gate to enter the New Eden cluster. I don't dispute that. However, I can say that perhaps the wormhole they passed through was not the Gate itself, but probably a wormhole produced by resonating with it. And now we can say why the EVE Gate is perpetually producing light. It is the energy given off by the frequent oscillation in space-time... an effect we see mirrored in other wormholes. That's pretty much the end of what I have to say about my hypothesis. It's probably not the explanation for how things actually work in New Eden, but it was a very happy thought I had, that seemed to get everything to line up. In any case, I hope you had fun working through my mad ramblings. I also hope you picked up on some real world Physics, and maybe are a little inspired to go and find out more. If you've followed me down my rabbit hole this far, you have both my thanks and admiration. Takes a good deal of patience to read through the ramblings of a mad man. 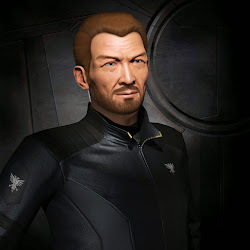 But now we've hit a real pay off in explaining one of the more major events in EVE, the Seyllin Event. Recall that the Seyllin Incident was the detonation of vast quantities of Isogen-5, causing a vast chain reaction that destroyed several planets, and began the first appearances of natural wormholes in New Eden. Capsuleers were now able to enter Anoikis space, and scavenge amongst the civilisations resident there. The intent behind this detonation aside, we can now say why it caused the appearance of wormholes using the gravitational wave model. 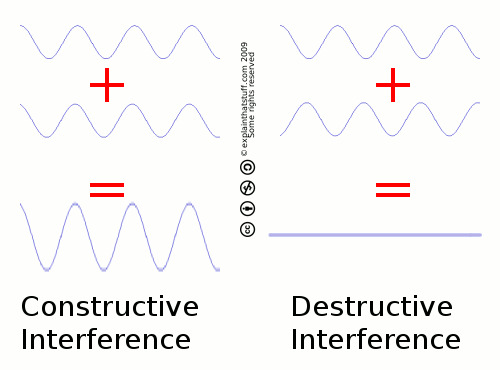 The detonation of Isogen-5 caused a massive fluctuation in space-time. Yes, that sounds like science fiction gone wild, but all it means is that 4-d space received a huge pulse. We basically moved the rubber sheet of reality up and down. As an example, drop a rock in the middle of a pond. You generate a series of waves, propagating away from where you dropped the rock. This pulse combined in several places, adding to other gravitational waves bouncing around the cluster. In some cases, the amplitude was of such magnitude as to dump huge amounts of energy onto planets, shattering them. These shattered planets are all in orbit of Ao-Blue class stars, and are all the first ones in their system. Now we can say why they were destroyed, perhaps without the need for Isogen-5 caches. The pulse sent out by the detonation had a certain amplitude. These stars just happened to be at the right distance from the epicentre. They also may have had a similar effect on space-time around them. In essence, they all bend the rubber sheet of reality the same way. What may have happened as the pulse passed through the system is the same effect as a wave crashing on a beach. The pulse simply lost it's energy as it passed through the contortion of space time caused by the Ao-Blue star. Just like when a water wave hits the shore, what was once a gentle oscillation turned into a great wall of energy crashing down onto mass... and of course, the rocky planets bore the brunt of this. These planets were literally hit with a gravitational tsunami. The resulting waves reflected from other massive objects, and any other sources of gravitational waves, then started to form the great rolling mess of gravitational waves needed for the first natural wormholes to appear. That is what opened up Anoikis to capsuleers. We are now living in space-time which is fundamentally different from what was here before. Now for the development of wormholes as standing waves, giving us startling explanations and implications for wormholes in New Eden. This shows how two waves can come together to form what appears to be a static oscillation in a medium. My example before was a rope, but now we're going to apply this idea to a rubber sheet analogy of space time. For a start, space-time is 4-dimensional. It's not nearly so easy to imagine a wave in this environment, without lying a little to ourselves, and pretending the universe is one big sheet of rubber. I'm also assuming here the maths works out. I'm still at the beginner stages of tensor calculus, and so can't prove it yet. Gravitational waves are generated at two sources at a distance from each other. As they move towards each other, they form a standing wave in between them. The peaks in the waves add to each other to cause the necessary contortion of space-time. Elsewhere in the universe, a similar event happens. These two peaks join each other, as discussed in the previous post. This is possibly how wormholes in New Eden are formed. From this model, we can now see why wormhole space is sometimes dominated by large mass objects, such as black holes and pulsars. These large objects are causing the necessary gravitational waves to produce natural wormholes. They are also "lowering" the surrounding space-time to make such peak to peak connections easier. This also explains why wormholes have seemingly random destinations, whilst statics are known to remain in place. Statics are locations in space where gravitational waves are somewhat constant. There is an ebb and flow of amplitudes, the energy of the waves, but these places are where standing waves can easily form. Essentially, it is a place where a number of gravitational waves comes together to form the peak needed to bend space-time into the wormhole bridge. However, the exit location is not always the same. This is because, unlike the two black holes joining model, the other locations wave peak is not always fixed. What the static wormhole will do is fix itself to the "closest" possible wave peak. I say "closest", because at this point distance becomes a very tricky concept. Imagine this: Rather than New Eden's space time being a fairly even and calm pond, like a smooth rubber sheet, it is more like a rolling ocean, with waves and tsunamis crashing around all the time. See the area in between the two spheres? 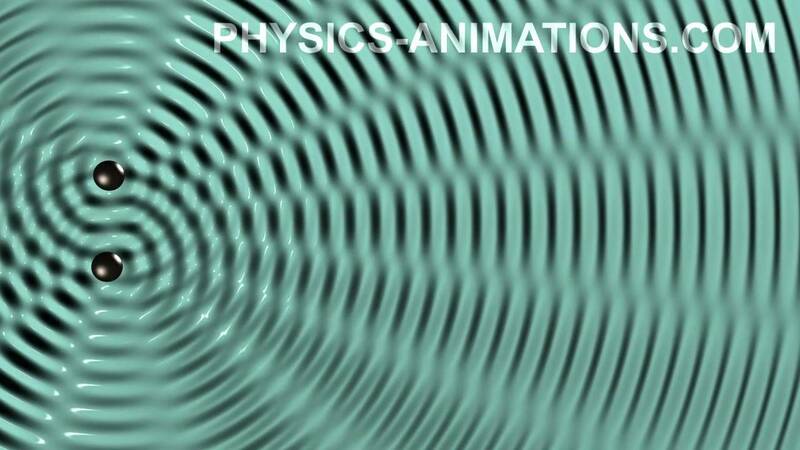 A standing wave can readily form there, treating those two circles as fixed points. Now it's unlikely for a spherical object to produce a gravitational wave, so those two spheres really just represent wave generators. 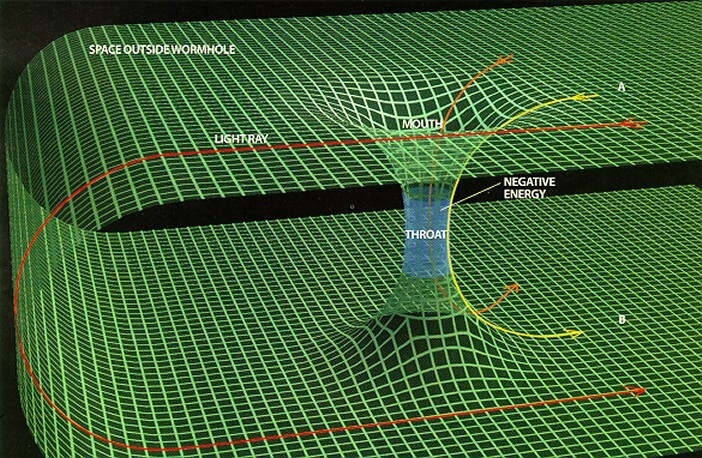 The idea of random wormholes forming due to massive objects bending space-time doesn't work. For New Eden's wormholes to vanish and appear, we would need masses appearing and disappearing, seemingly at random. But if these waves are so prolific in the cluster, shouldn't we feel the effects? Wouldn't time and space be warping all the time, making space travel, and just general communication a nightmare? The reason we don't see the effects of gravitational waves, beyond wormholes, is that the gravitational waves are pathetically low energy. The only time they are strong enough to cause an effect on mass is when we have these standing waves, resonating and adding to each other to increase the amplitude of the wave. Now we can say why the Drifter wormholes and Sansha wormholes are constructed the way they are. The structures are placed there to create an artificial gravitational standing wave, which can then link up to whatever location they desire. We can also extrapolate from here, by saying that some ships may be able to carry gravitational wave generators to produce short term standing waves. These will not be as stable as the gated ones, meaning that only some locations are favourable. If this is the case, we can now explain why the Seyllin Incident caused the appearance of random wormholes, and perhaps present a new perspective of the function of the EVE Gate itself. So now we're going to bring this all together, which should present us with a good model for understanding wormholes in EVE, and from which we can extrapolate to both the mechanics of the Seyllin Incident, the mechanism of the Jove Dyson cloud network, and even the function of the EVE gate. See, I told you it was a happy thought. The idea behind wormholes, as predicted by relativity, is that 4-d space-time is manipulated in such a way as to create a bridge from one location in space time to the next. I covered this already. The issues arise with that negative energy in the throat of the wormhole. Remember that the acceleration due to gravity is so strong there that not even light can escape, meaning that travel across it is fairly impossible. There must be some mechanism or some exotic matter to make that jump possible. At least if you were a particle. Waves, on the other hand, are all about the transfer of energy rather than the movement of particles. Indeed in a wave, although there's definitely something moving, particles do not, in fact change their location in the direction of movement. They oscillate up and down, but they don't go forward and back. The wormholes are generally thought to be made by large masses causing contortions in space-time. Fairly simple to understand in terms of the rubber sheet model. You get two masses pushing down at the same time, and they may connect. But that's not the only way to get a rubber sheet to move. And caveat now, this is where the Science becomes mostly fiction. I'm not good enough to put the numbers to this hypothesis yet. We can also get our sheet to move by applying a wave. In the case of space-time, a gravitational wave. If we get the peak and trough of two gravitational waves to link up, then we can also create the bridge between two locations in space. Which is super exciting! The large mass model is static. Once the bridge is made, it's there until the energy is all lost from radiation of exotic particles. The formation of them also needs an awful lot of matter to cause the contusion of space-time. Not something a ship can reliably carry around with it. The waves don't need as much mass, just an oscillation of local-space time. Ok, we need moving masses for this to happen, but the key point here is that the mass does not need to be IN the wormhole. This goes a long way to describing how our ships can seemingly shift between locations in space at low energy. At the centre of the wormhole as we see it, our ships actually catch the anti-node of the wave as it becomes flattened into 'normal' space-time. As the wave then oscillates back to it's peak, our ships are carried with it, and cross over to the other wave peak as it comes in. When the second wave flattens out again to 'normal' our ships are deposited back into a new location, and our autopilot moves us away from the peak area where this exchange happens. This is why all ships have the same entry distance to wormholes, and larger ships with more mass appear further away. More massive ships must move further away so as not to be caught in the wormhole oscillation again. Less massive ships are less affected by the contortion of space time. This now explains why wormholes in New Eden have a lifetime based on the mass of objects passing through. Massive objects around the wormhole act as dampening. The more massive objects that pass through, the greater the dampening effect. The energy of the wave is absorbed in moving the ships from one location to the other. Once enough energy is absorbed, the amplitude of the wave falls so that it no longer causes these bridges in space time. It also explains why light from the other side of the wormholes is able to pass through without colour changes due to gravitational red shift. It is quite literally being carried from one section of space on the gravitational wave, rather than having to pass into and out of a very high gravitational field. It's also consistent with the ripple effect we see being emitted from wormholes. They move, rather than being static. There is so much more to talk about, but I'll expose this to public opinion first. But if this is correct, or at least good enough for EVE, then we can now explain random wormhole appearances, ship board wormhole generators, the exact reason for the Seyllin Incident, and what the EVE Gate actually is. Additional: If anyone can help me make a nicer image for this waves touching idea, please get in contact... I lack the graphical skills.